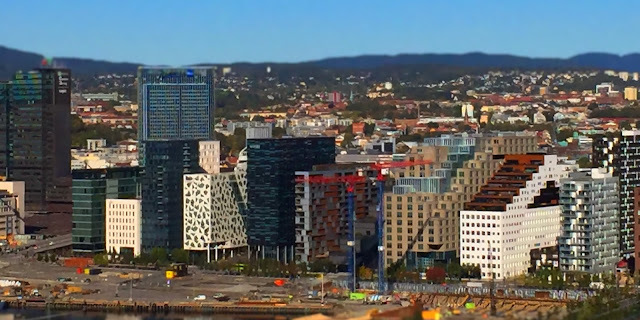 The seaside of Oslo East is changing these days. As here with this row of new office buildings right behind the Opera. The reference to a barcode is absolute there. Unfortunately this front will later be hidden behind another new row of buildings hindring the present view.